Self Performed Work – Joseph J Henderson & Son, Inc.
Joseph J. Henderson & Son, Inc. believes self-performing certain work activities is essential. 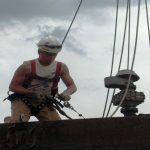 We have skilled tradesmen that perform concrete, carpentry, millwright, selective demolition, steel erection, excavation, mechanical piping installation, and labor. Self-performing work on site allows us to better handle production, quality, and safety , adding value for our clients in distinct ways: saving time, saving money, controlling quality, and enhancing safety. 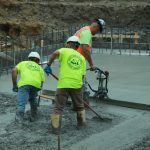 Our onsite crews take pride in their craftsmanship, providing quality concrete work from cast-in-place foundations, walls and columns, flatwork/slabs, and concrete finishing. 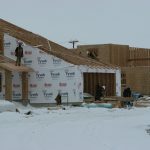 Our skilled carpenters have the ability to perform many duties, including rough carpentry, framing, blocking, finish carpentry, and millwork installation. JJH performs all work associated with structural steel erection and modification including handrails and specialty items. 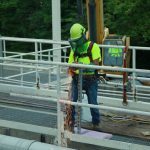 Millwrights are tasked with preparing and installing some of the most costly and critical equipment on a construction project. Our veteran millwrights have the experience and skill to make even the most complicated installations go smoothly.